How to add Twitter, Facebook or other profiles to my contact? 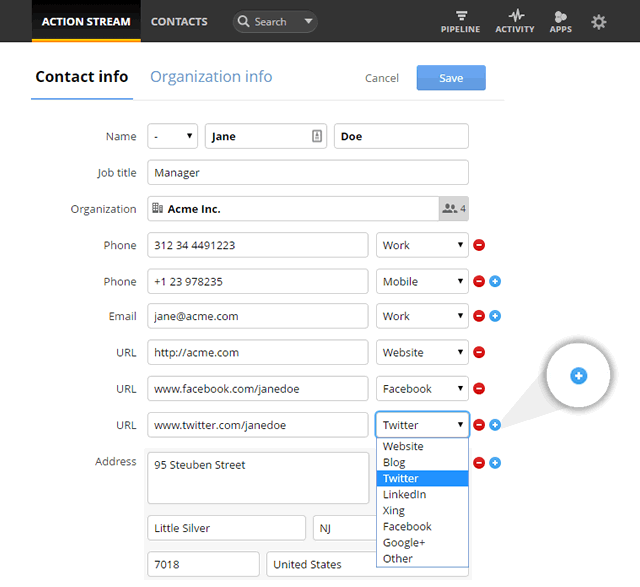 You can add a contact's Twitter, Facebook, LinkedIn, Google+ or other URLs to a contact in OnePageCRM for quick access to external links. Open the contact you wish to add social URLs too. In the Contact View → click on the Edit button. 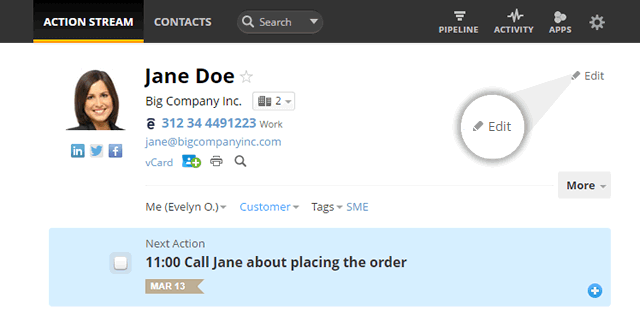 In the Contact info tab, if the URL field is already populated, add an additional one by clicking on the blue + icon. Enter the UR L → from the dropdown select your preferred option ( Website, Blog or social networking sites such as Twitter , LinkedIn, Facebook etc.